Gmail allows you to authenticate your email address so that you can send using your actual email address instead of @gmail.com. In order to do this you need to authenticate it using your StudioCoast email information. PLEASE NOTE THAT AS THIS IS A 3RD PARTY SOLUTION AND WE CAN'T TROUBLESHOOT ANY ISSUES. 1. 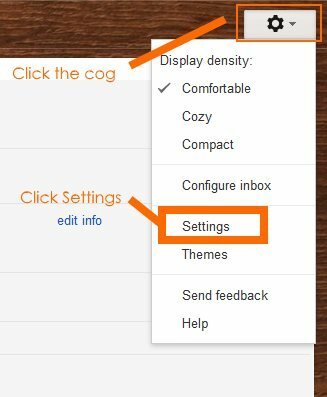 Firstly, log into your Gmail account and navigate to the Settings. 4. You will then need to enter the server information provided to you in your hosting settings. This information can be found by logging into your hosting account and going to account information or Email section. Your password is the email account password. 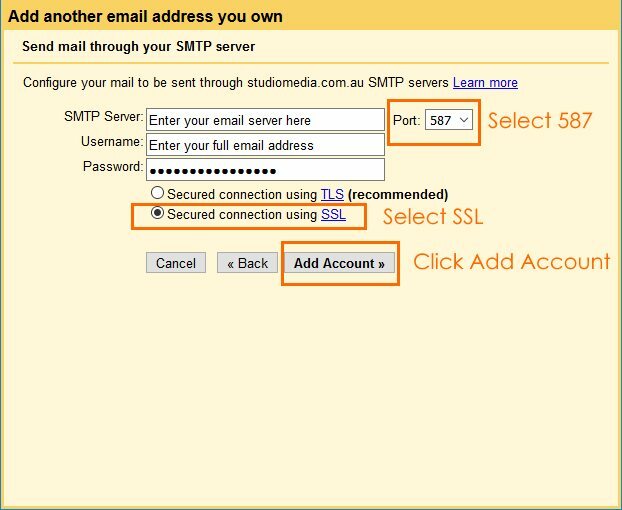 Select Port 587, SSL and click Add Account. 5. 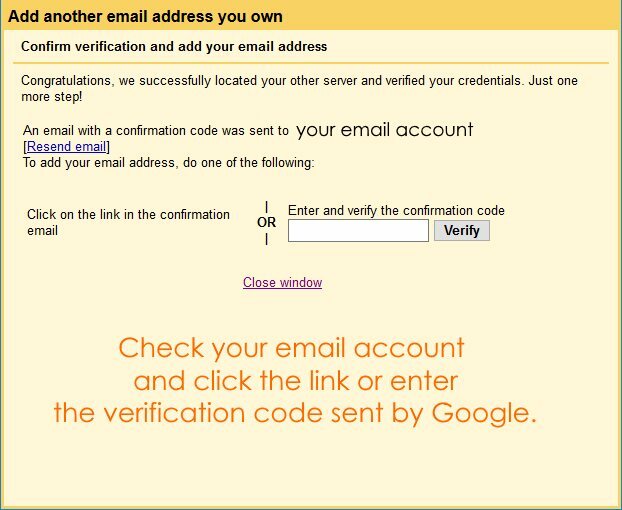 You will then need to confirm your email address by clicking on the link sent to your StudioCoast email account. 6. If you click the link, then you will need to click on the confirmation button. 7. It should then be set up! 8. 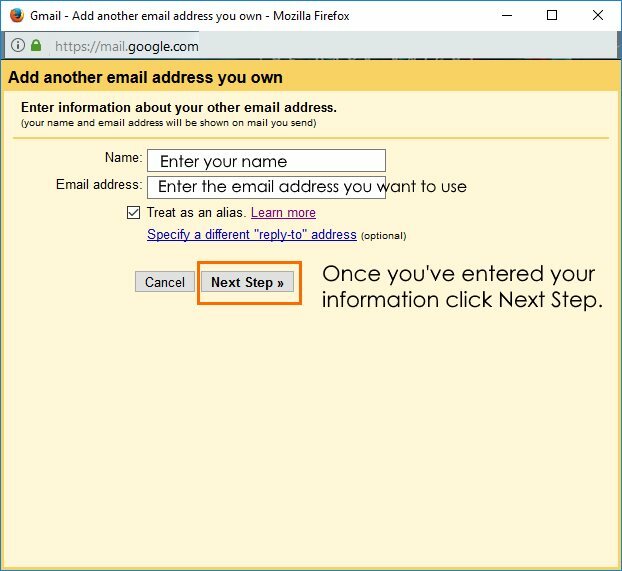 You can then start using that address as your from address in Gmail or in Mail programs like Thunderbird and Outlook. You will have to change the email from address in your program.